« fight for your right to photo! The other night my friend Hisashi-san, who I met at the Hartland, invited me to meet him and a few other people at an izakaya in Minoh. It turned out that one of the people we met up with, Kenji is a graduate student in the Graduate School of Language and Culture, where I teach. Takahiro-san was once a student at Handai but is now a lawyer, Aya-san studied fitness in New Zealand for three years, and Yumiko-san went to art school and now works for an insurance company. 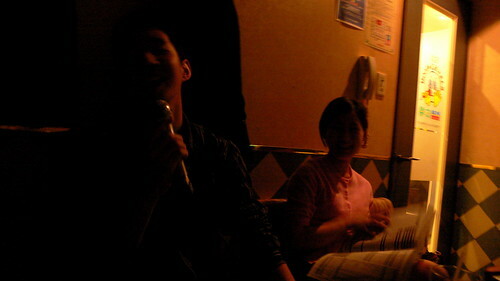 After the izakaya we went out to karaoke. 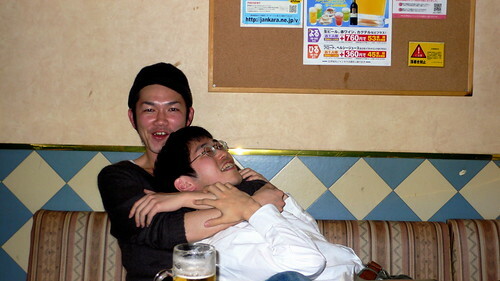 The photos below illustrate a pretty typical karaoke night in Japan. 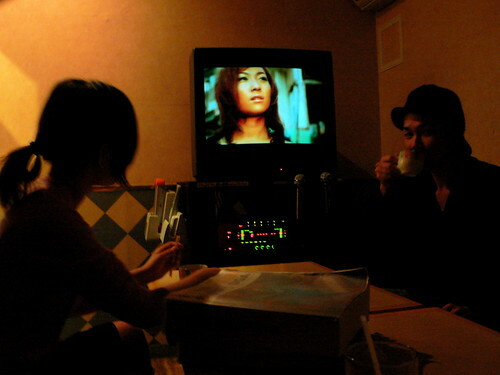 Aya and Kenji drink coffee to prepare for a long night of singing. A strange woman joins the proceedings televideopathically. It looks like the caffeine has kicked in. Hisashi-san sings his heart out while Aya watches. It’s true — when the cameras come out in Japan, the vees go up. It’s Yumiko-san! 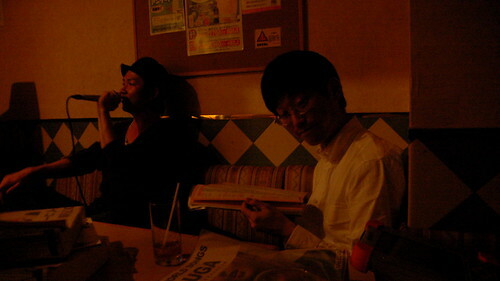 Takahiro looks on suspiciously while Kenji sings. This was completely unintentional, but it’s like we’re synchronized swimmers here! 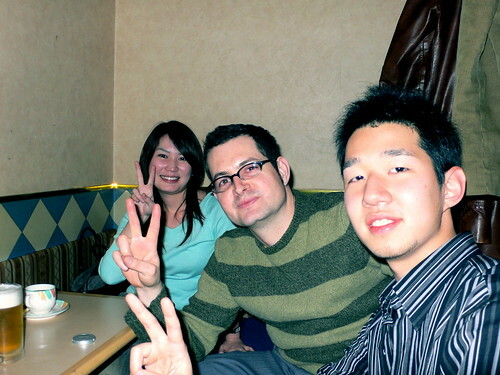 Hisashi-san, Yumiko-san, and myself. Previous: fight for your right to photo!